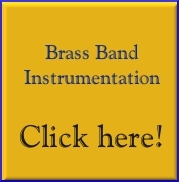 Set as the Third Section Test Piece for the 2019 National Finals of the British Brass Band Championships. In stock and immediately available for next day delivery. The Viking age lasted from the late eighth, to the middle of the eleventh century. During this period, Scandinavian warriors and merchants explored, plundered and left their mark on numerous territories. It is an impressive and spectacular piece, with lots of interesting and playful parts for all sections. This is a perfect contest piece or an outstanding work for thematic concerts. Looking for our search form? Please use our new, instant search, found at the top of the page!